The excitement of the Winter holidays is upon us! 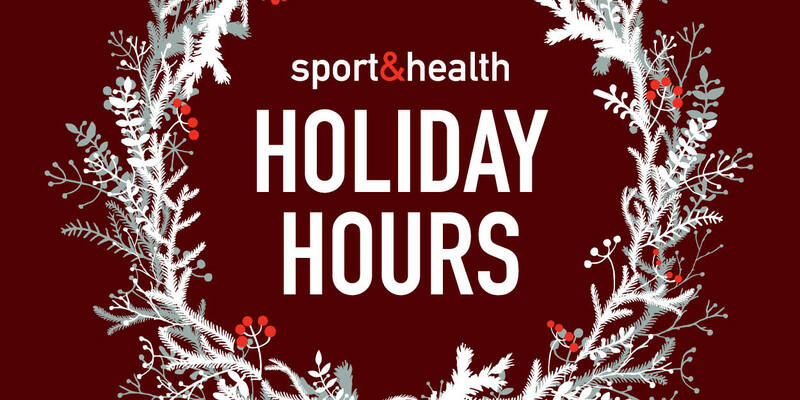 Here's everything you need to know about our tweaked holiday hours so you can still get your workout in. *Please find the adjusted class schedules for all locations here. Wishing you a happy and safe holiday season from your #FitFamily here at Sport&Health! As always, don't forget to share your health and fitness journey with us at #MySportandHealth.